The United States--one of the world's wealthiest and resource-richest nations--has multiple food-related problems: declining food quality due to industrialization of its production, obesity across all age groups, and a surprisingly large number of households suffering from food insecurity. These issues threaten to shorten the lives of many and significantly reduce the quality of life for millions of others. 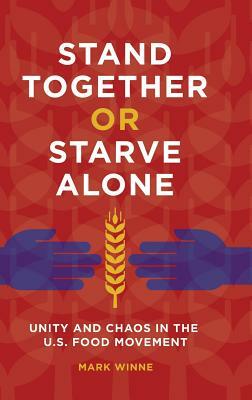 This book explores the root causes of food-related problems in the 20th and 21st centuries and explains why collective impact--the social form of working together for a common goal--is the method that needs to be employed to reach a successful resolution to hunger, obesity, and the challenges of the industrial food system. Authored by Mark Winne, a 45-year food activist, the book begins with background information about the evolution of the U.S. food movement since the 1960s that documents its incredible growth and variety of interests, organizations, and sectors. The subsequent sections demonstrate how these divergent interests have created a lack of unity and constitute a deterrent to achieving real change and improvement. Through examples from specific cities and states as well as a discussion of group dynamics and coalition-building methods, readers will come away with an understanding of a complicated topic and grasp the potential of a number of strategies for creating more cohesion within the food movement--and realizing meaningful improvements in our food system for current and future generations. Mark Winne is senior advisor to the Center for a Livable Future at Johns Hopkins Bloomberg School of Public Health. He is cofounder of the Community Food Security Coalition, where he also worked as the Food Policy Council Program Director.